IONA PORTAL COMING IN AUGUST! I’ve decided to take the plunge and self-publish Iona Portal! While I love the security of the more traditional route, I believe self-publishing has now become a viable option, and will allow the book to become available to readers much more quickly. My plan is to initially publish Iona Portal on the Amazon Kindle platform (Which will also make it available for Kindle apps on the iPhone, Windows PC, Mac, Blackberry, iPad, Android, & Windows Phone 7.) 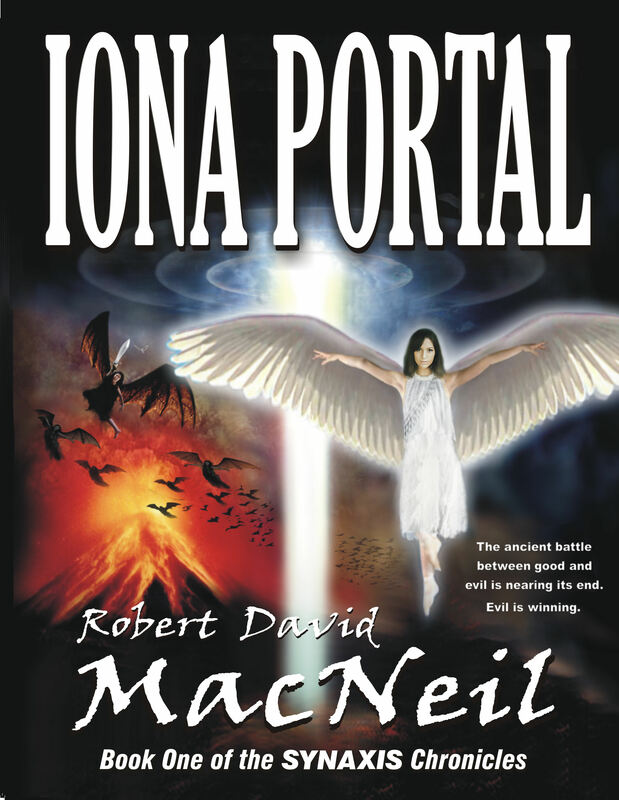 My goal is to have Iona Portal available for download in August. In the months ahead I also plan to release Iona Portal on Barnes & Noble Nook and Smashwords, as well as making it available in paperback through Amazon’s CreateSpace. So watch for IONA PORTAL, coming soon to an e-book platform near you! PS – Here’s an idea for the Iona Portal cover. I’d welcome your comments! This entry was posted in Self Publishing and tagged cover art, kindle, self publishing by Robert David MacNeil. Bookmark the permalink.